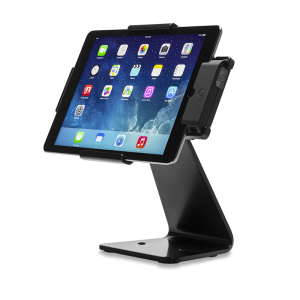 Designed for Apple iPad and iPhone 6 Plus, the Infinea Tab range converts these iOS mobile devices into point-of-sale, barcode scanning, display and self-service terminals. The Infinea Tab 4 and 2 models feature either a 1D scan engine, which scans 1D barcodes, or a 2D imager, which scans both 1D and 2D barcodes. 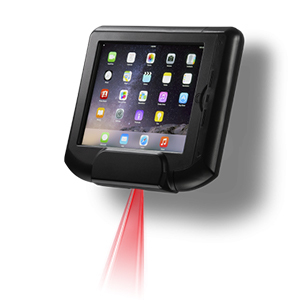 The Infinea Tab M models feature a 2D imager. Most of them include a 3-track magnetic stripe reader with an optional encrypted head and some have RFID or NFC readers and are Bluetooth capable. The ultimate unit for your customer. 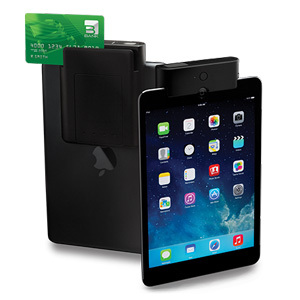 Designed for iPad Air (and iPad Air 2), it integrates with the device converting it into a self-help kiosk for customers to check prices, process transport tickets and boarding passes and self-checkout. No matter where the purchase decision happens, the Infinea Tab M is always at hand to make the sale. 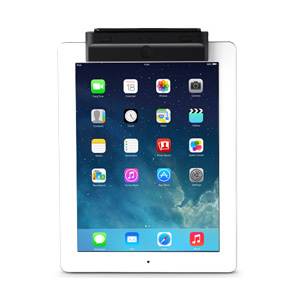 Made for iPad Air, iPad mini, iPad Pro (9.7″), iPad 9.7 (5th/6th Gen.) and iPhone 6/7 Plus. A range of ergonomic accessories is available including rugged cases and mounts. A versatile workplace in motion made for iPad 4. 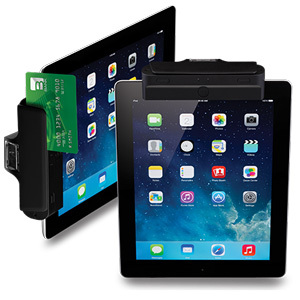 Infinea Tab 4 integrates with the iOS device enabling it to scan barcodes, read magnetic and smart cards and connect via Bluetooth with other units. A range of accessories is available. The first tablet that expanded the possibilities of iOS in the mobile marketplace. For iPad 2.